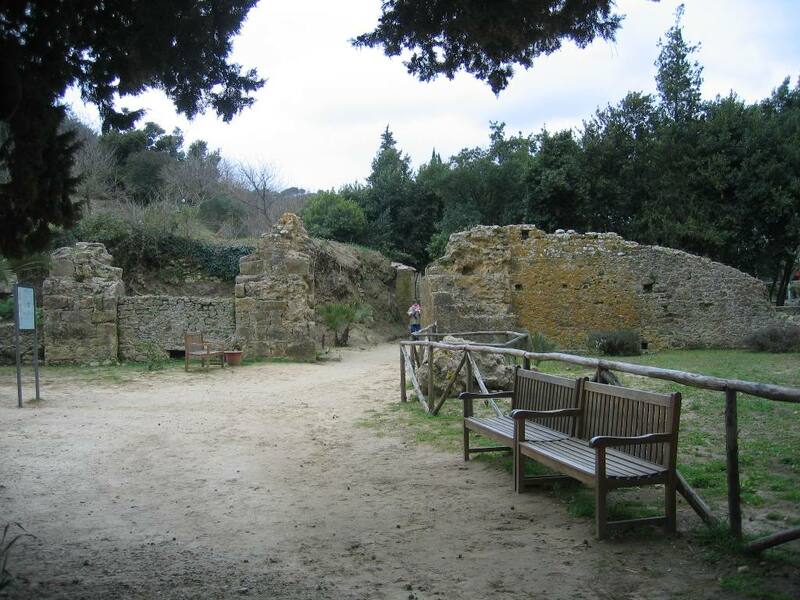 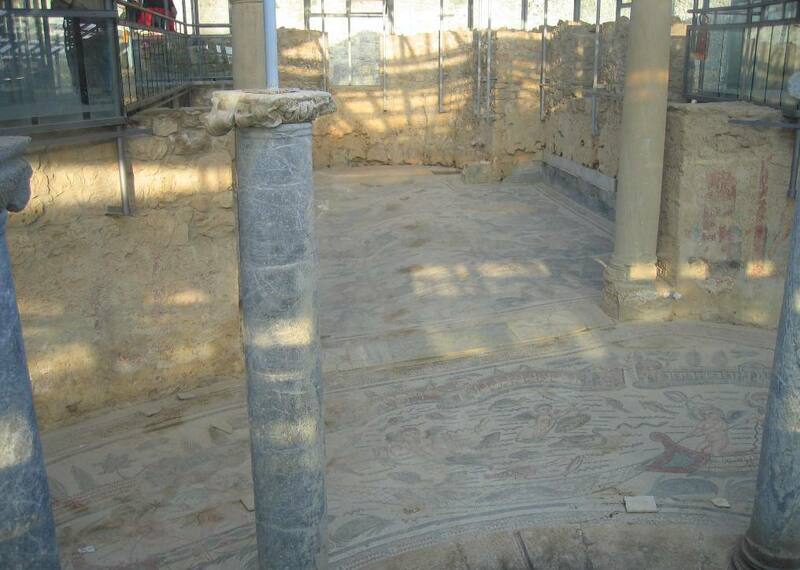 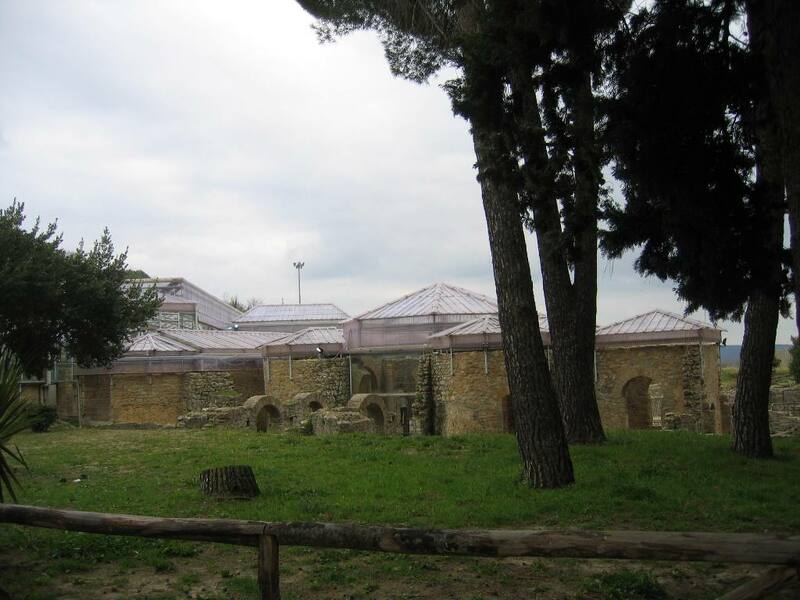 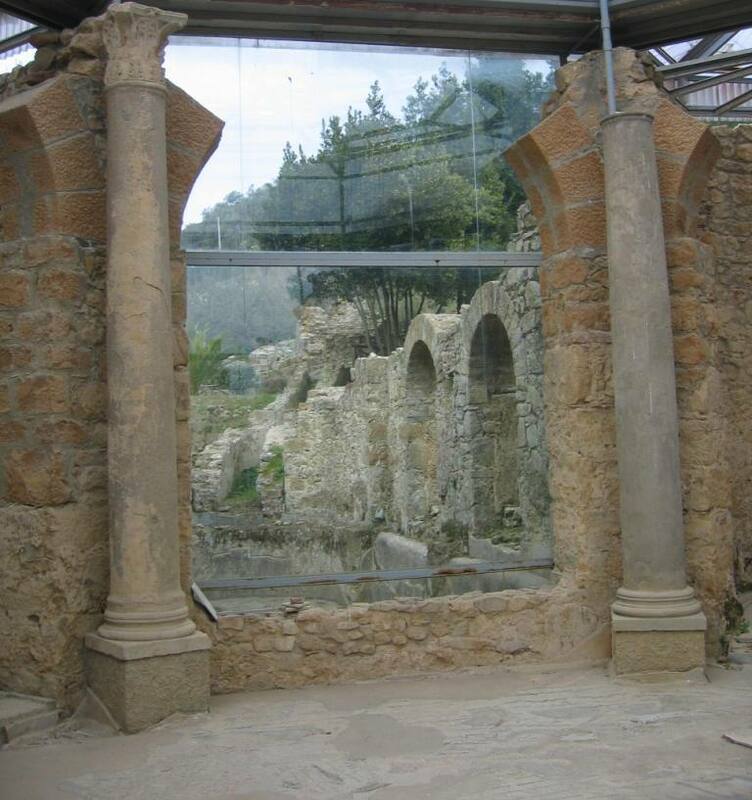 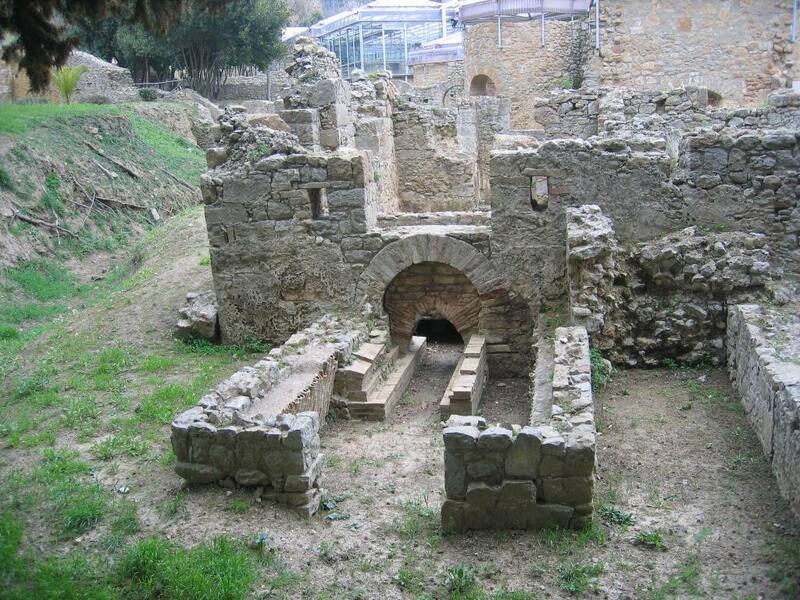 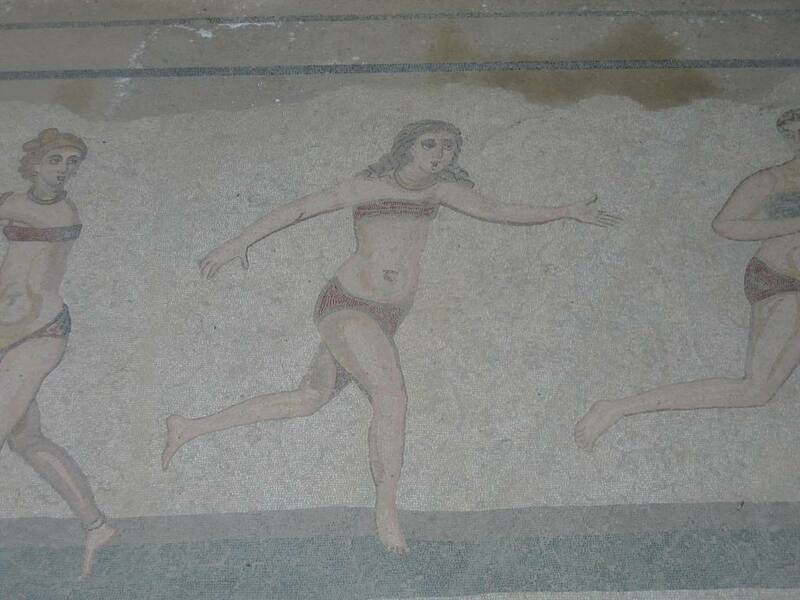 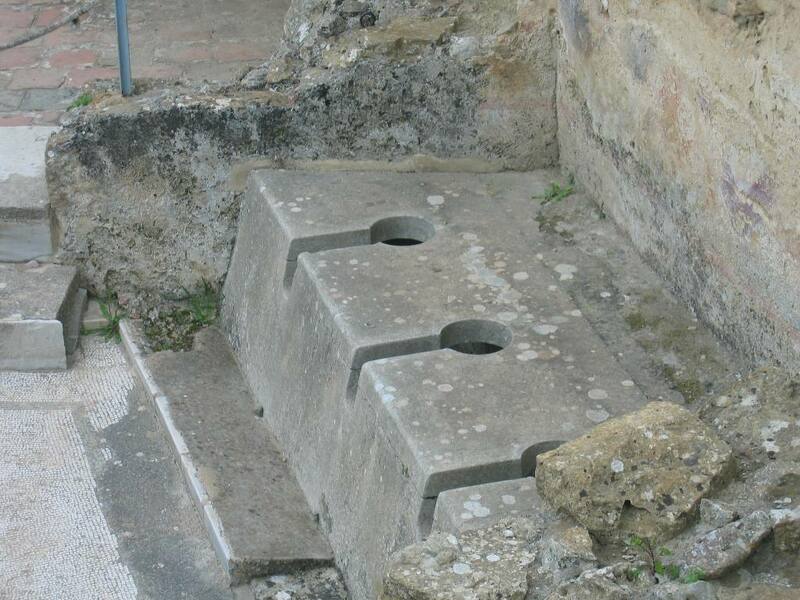 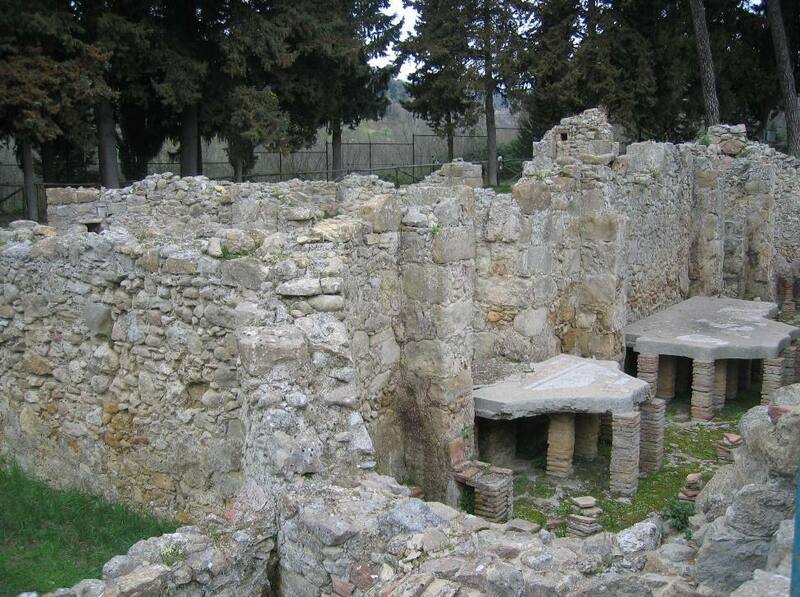 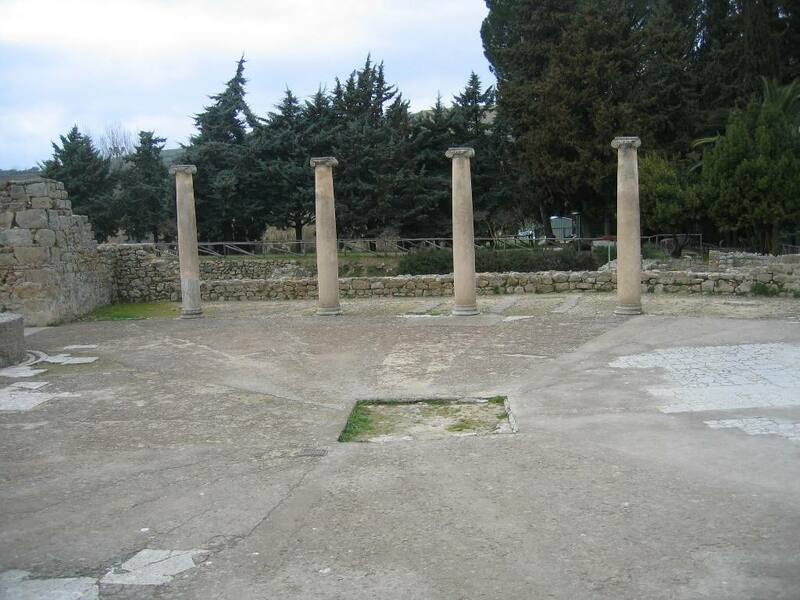 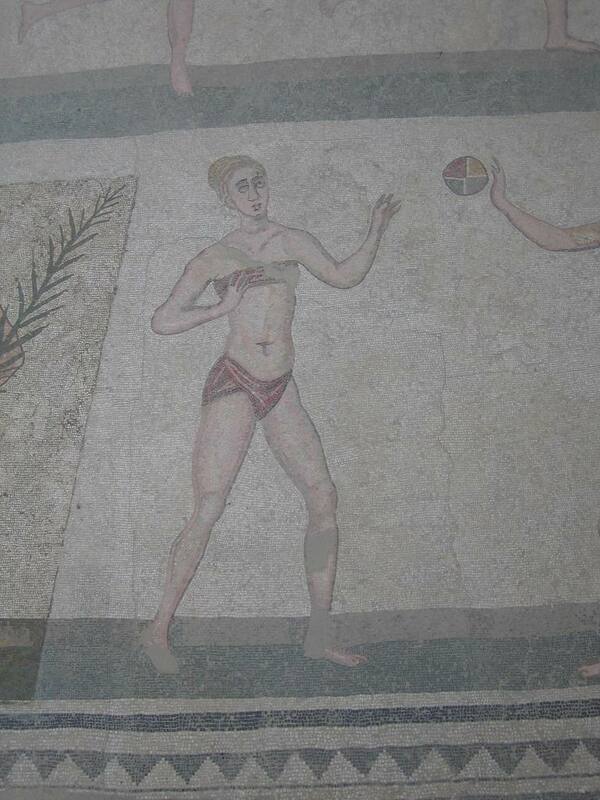 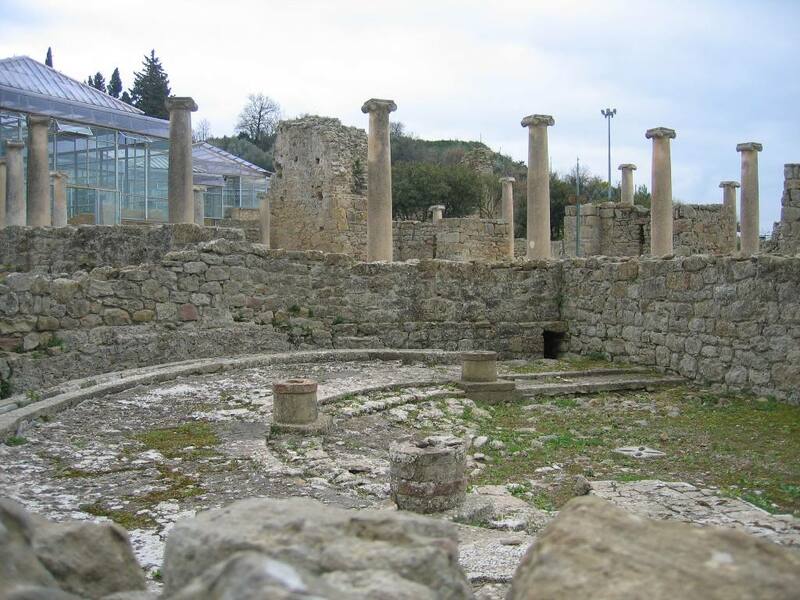 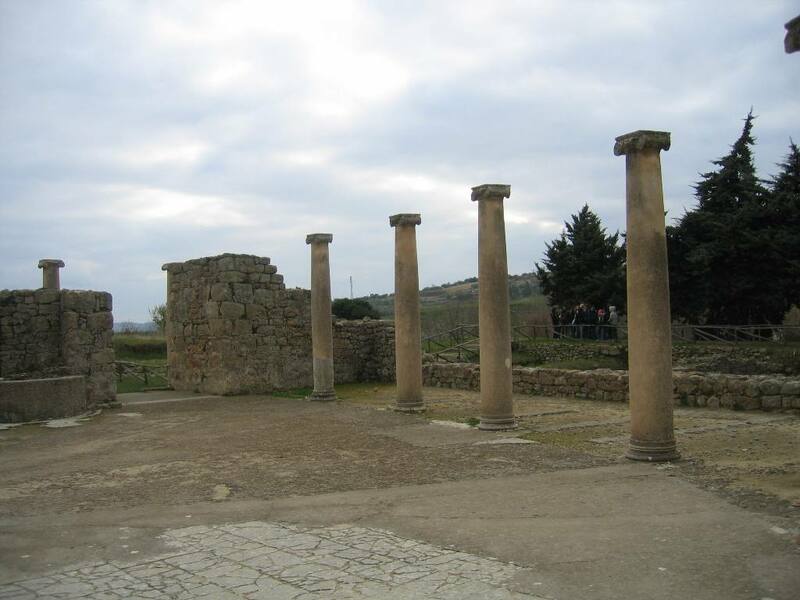 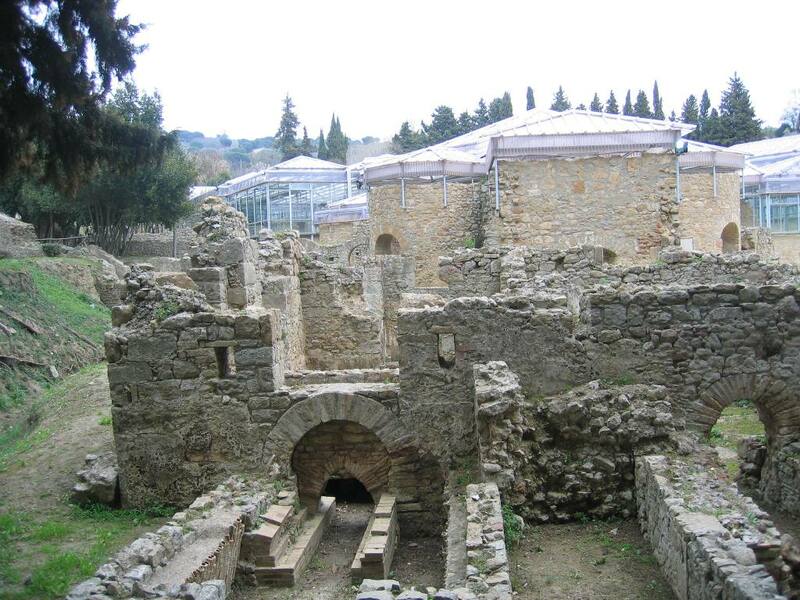 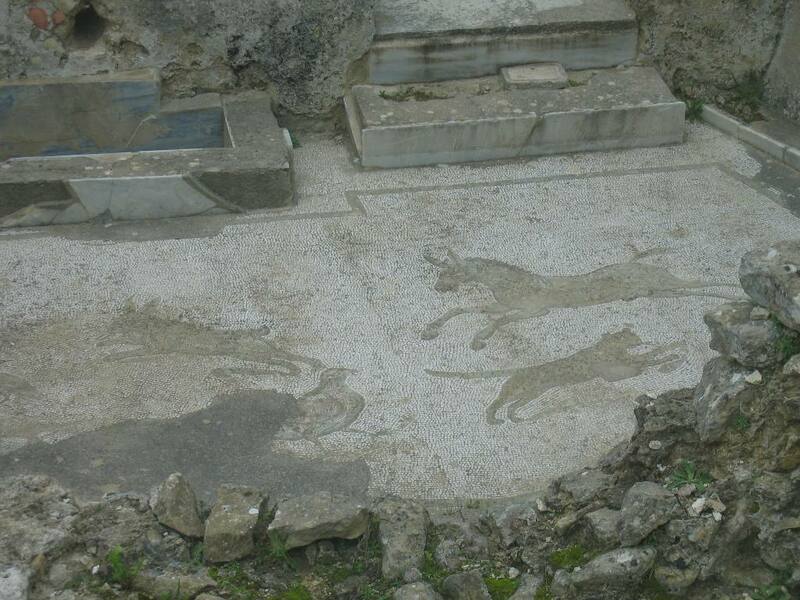 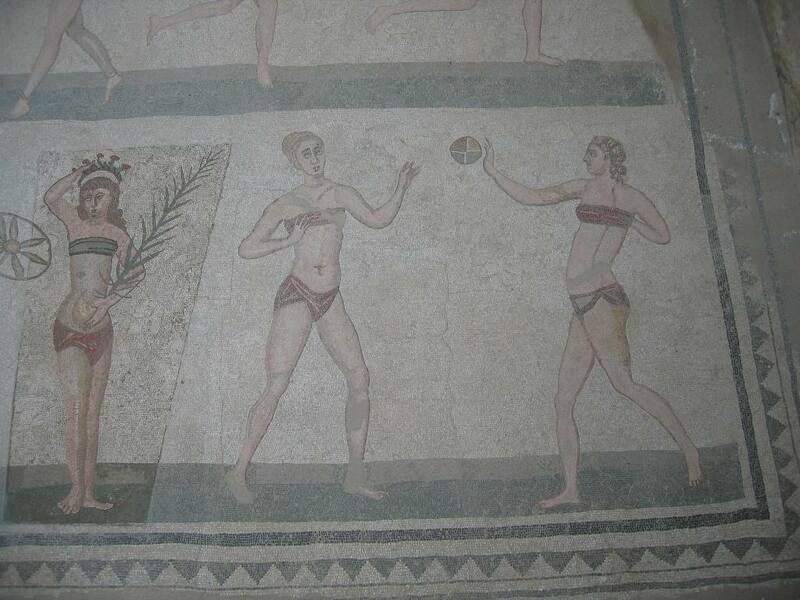 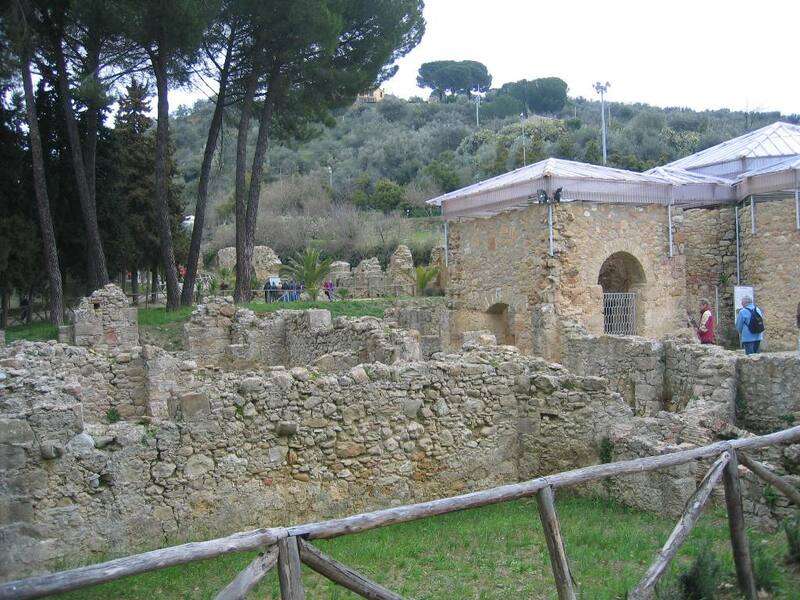 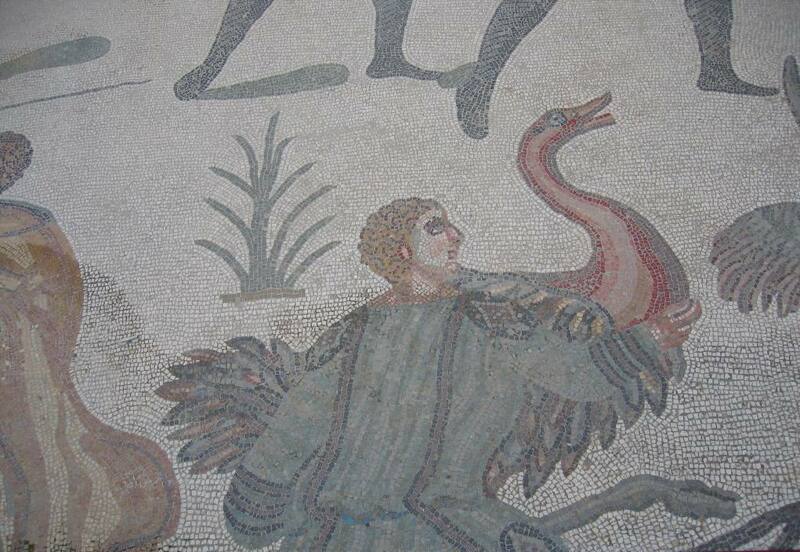 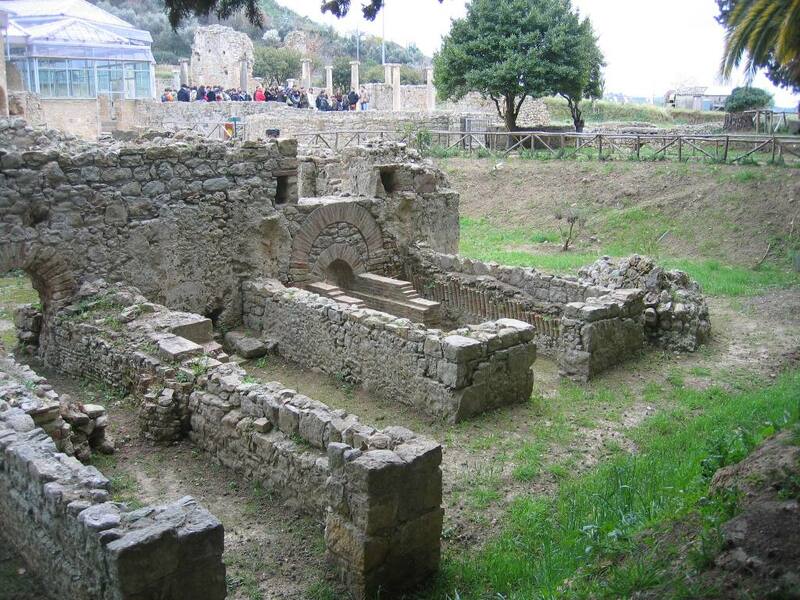 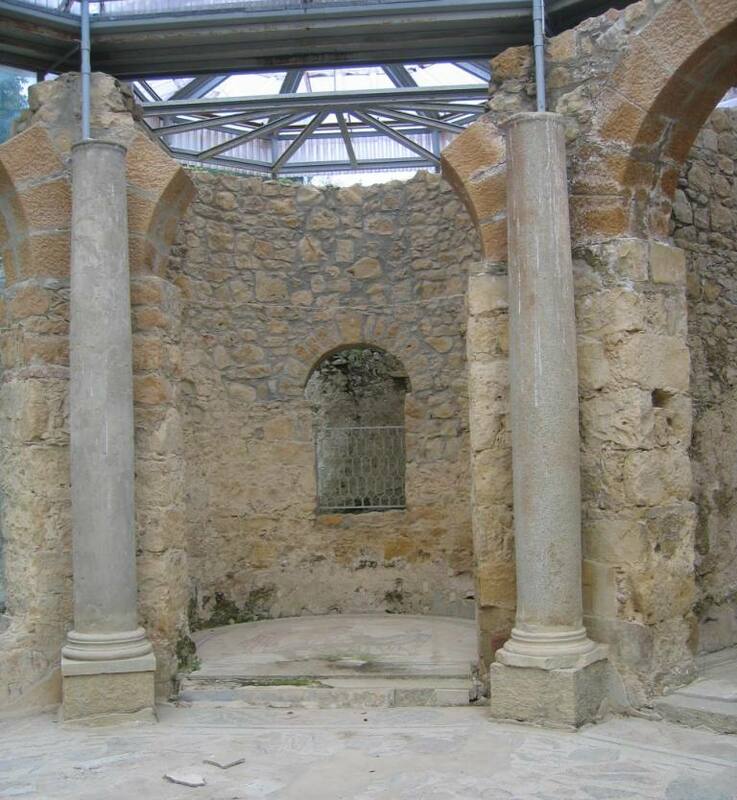 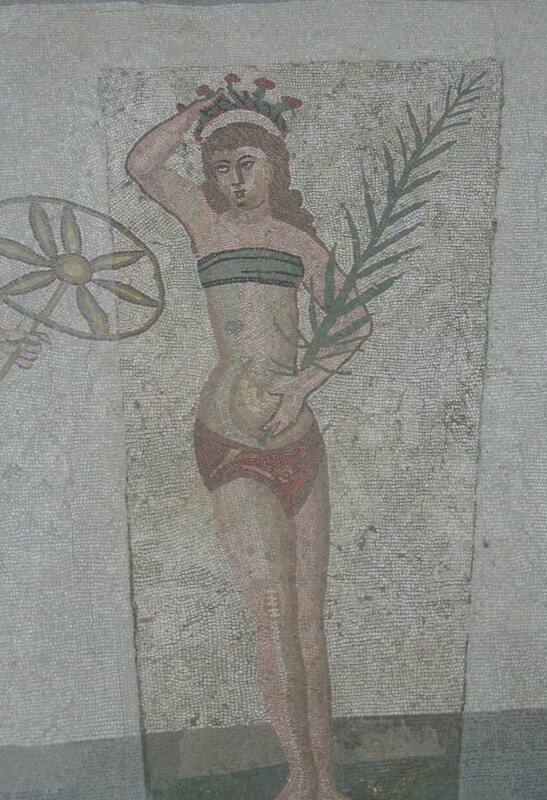 This Roman villa lies in the inland not far from Piazza Armerina. 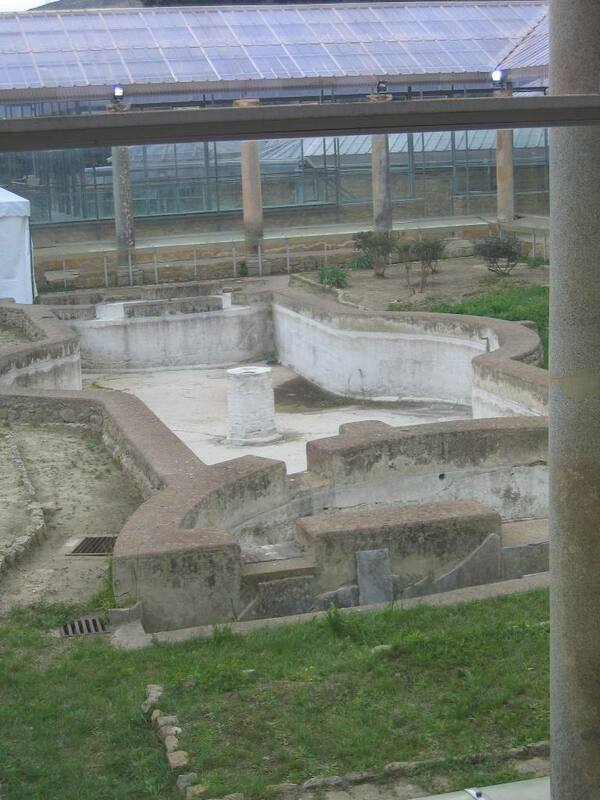 It lay covered by a landslide and was rediscovered in the 1950s. 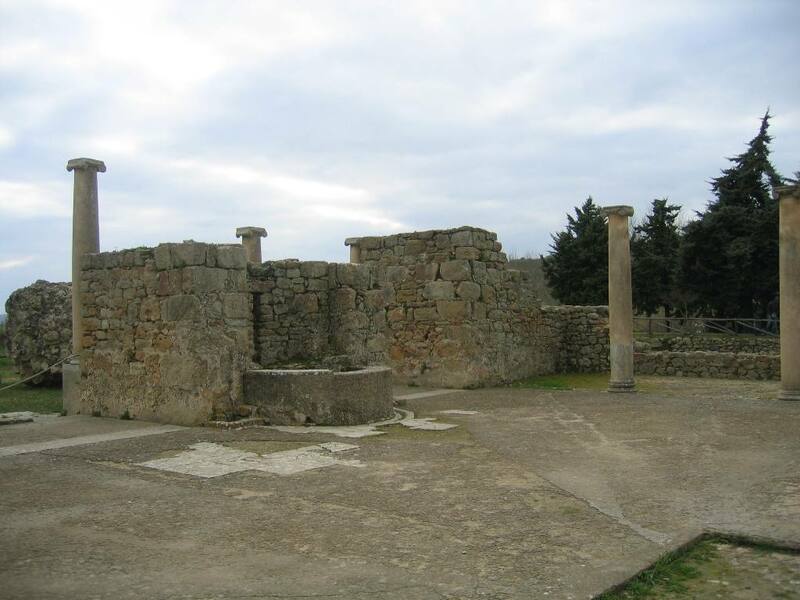 Its owners and its function are not known to us but there are theories that it may have been a hunting lodge or the temporary retreat of some important person. 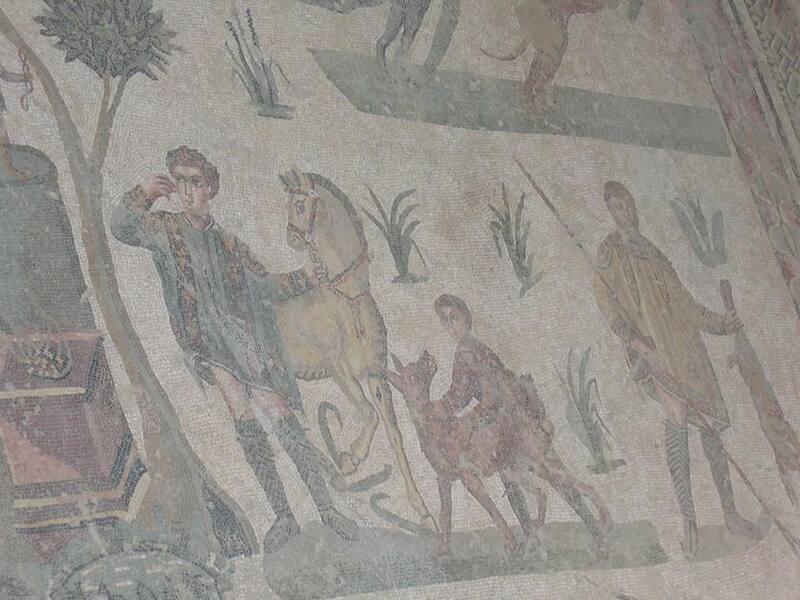 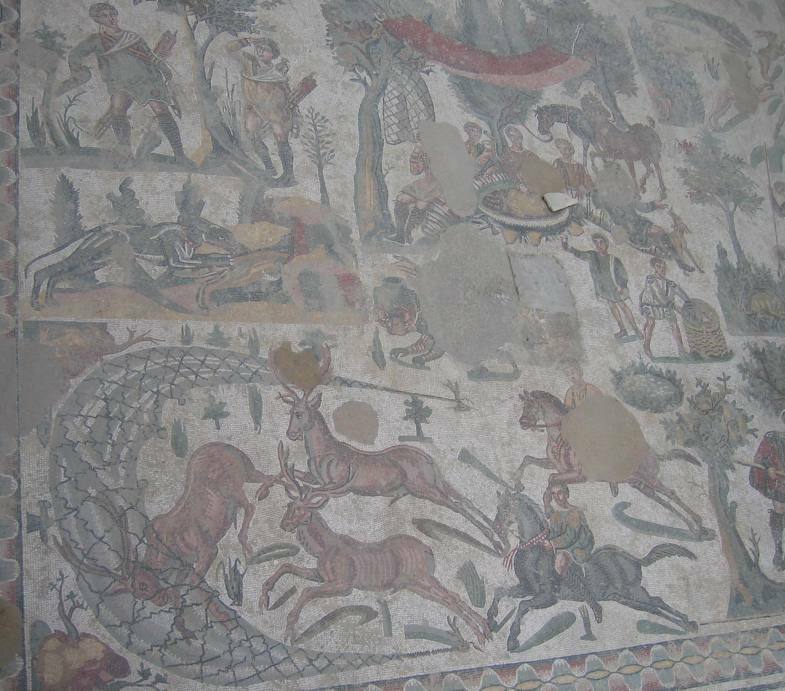 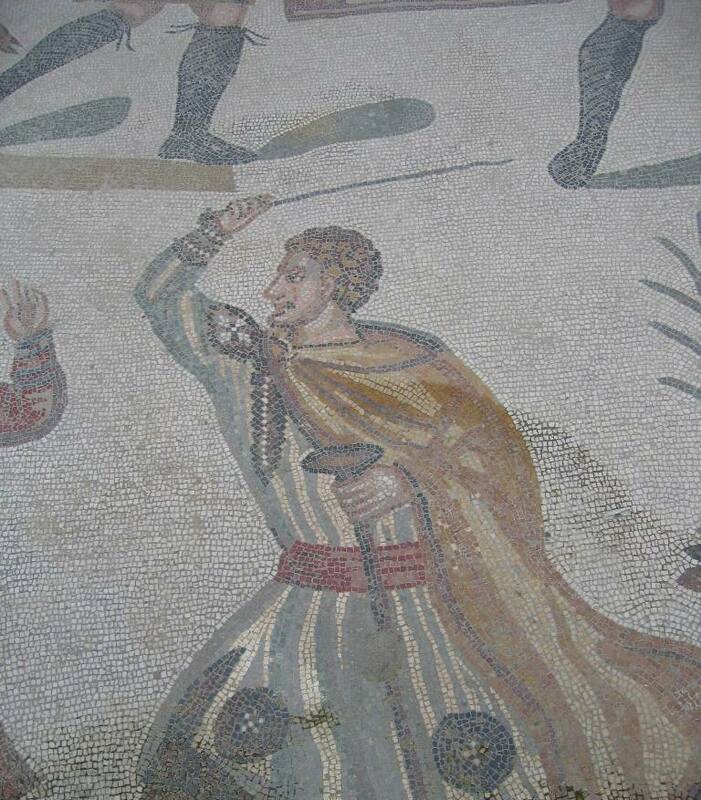 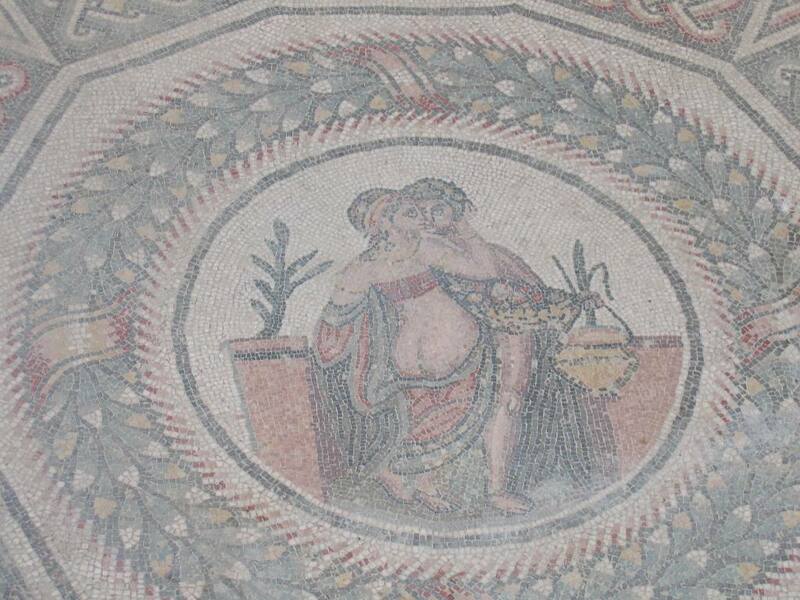 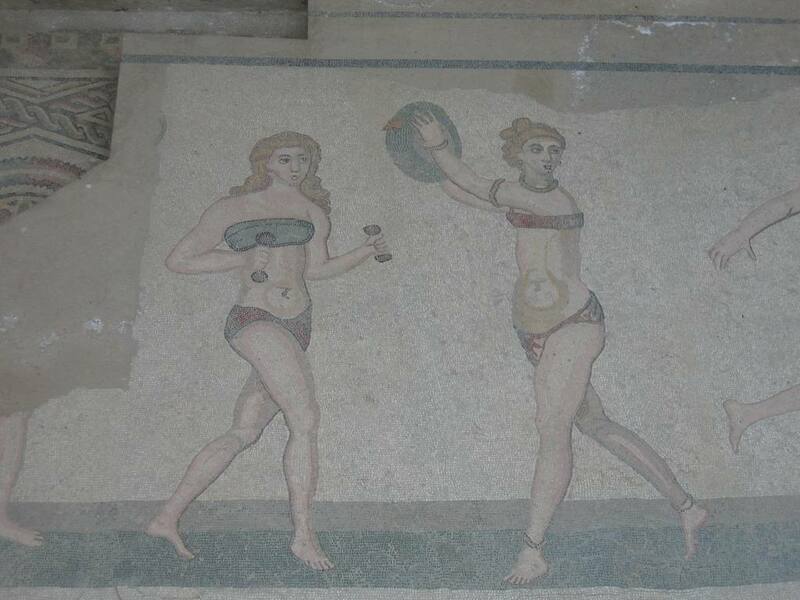 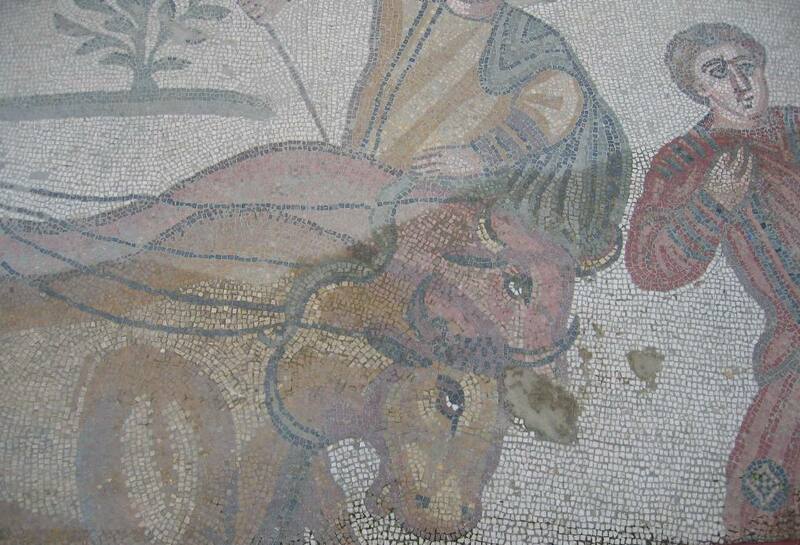 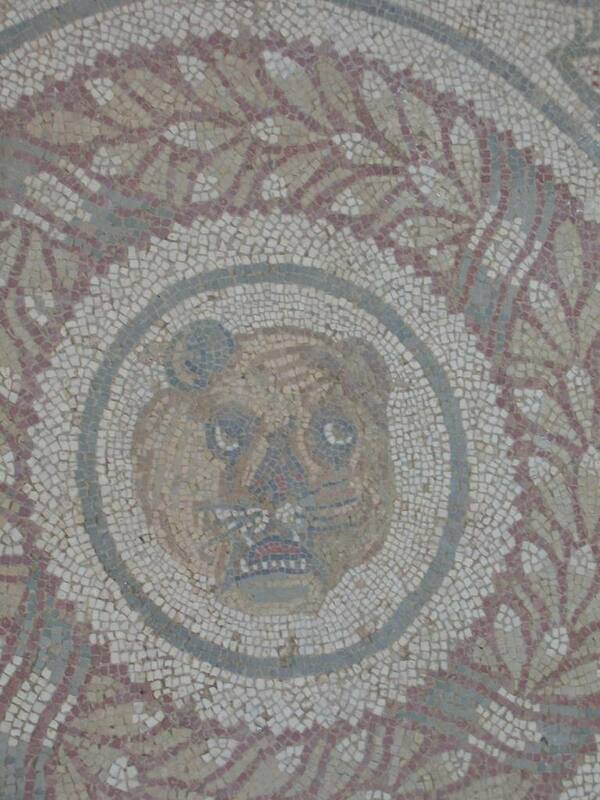 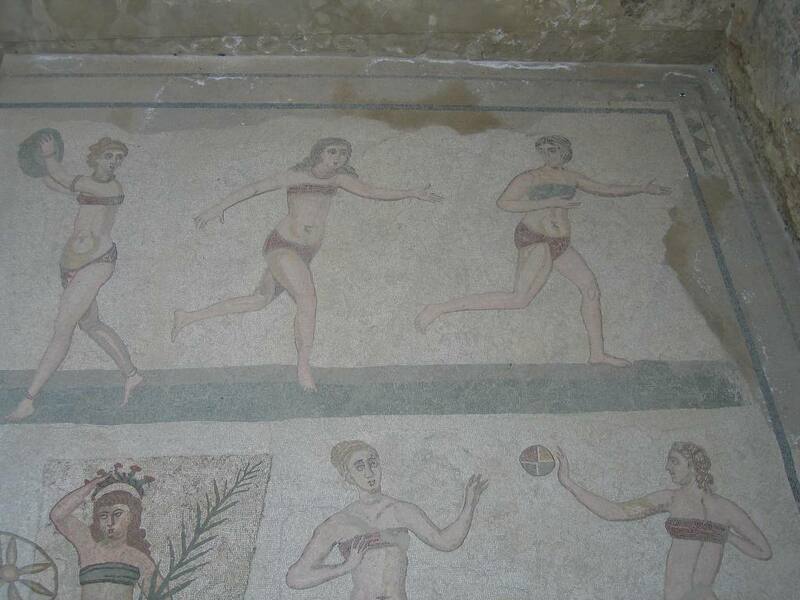 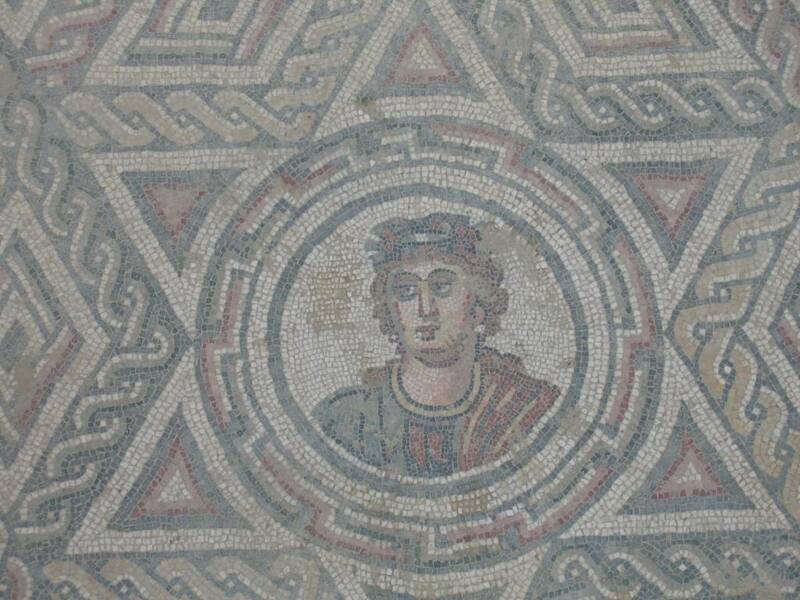 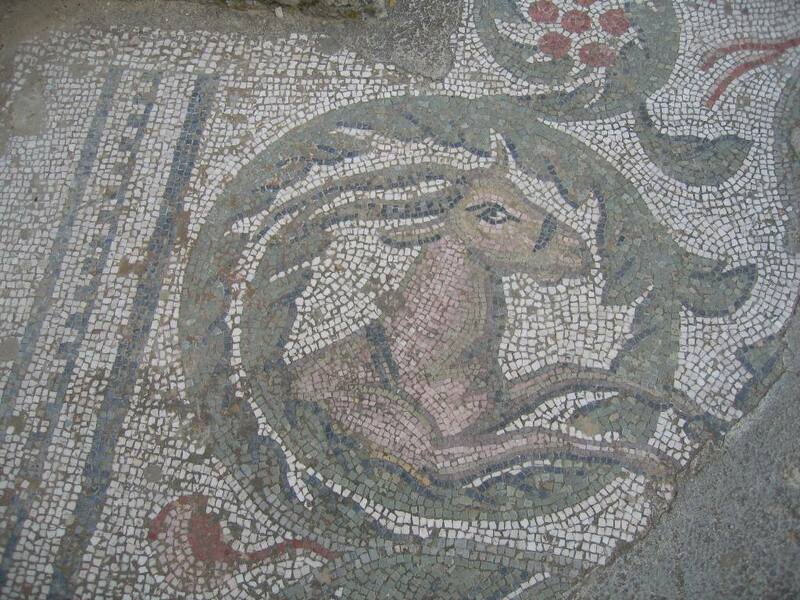 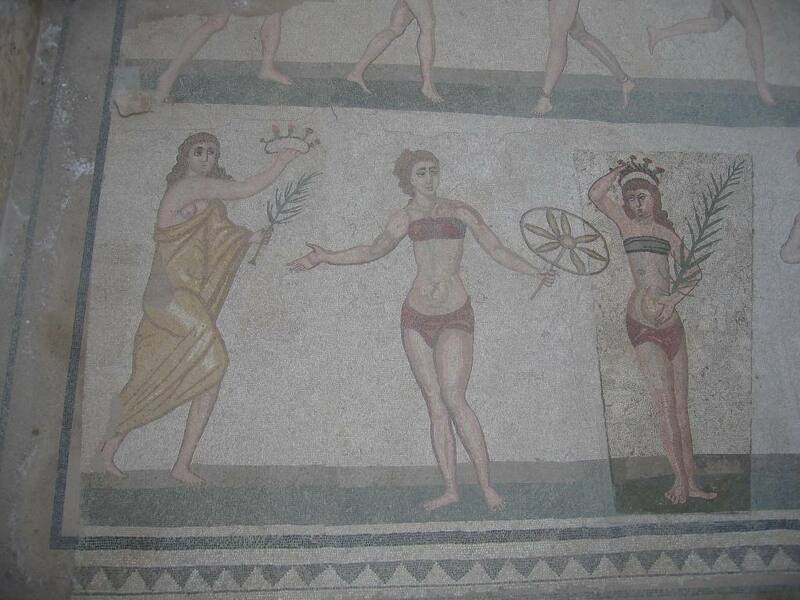 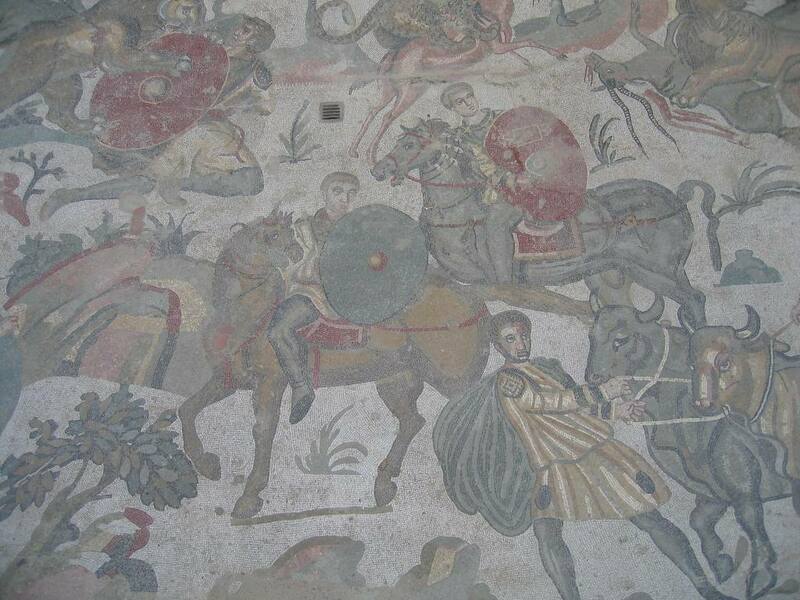 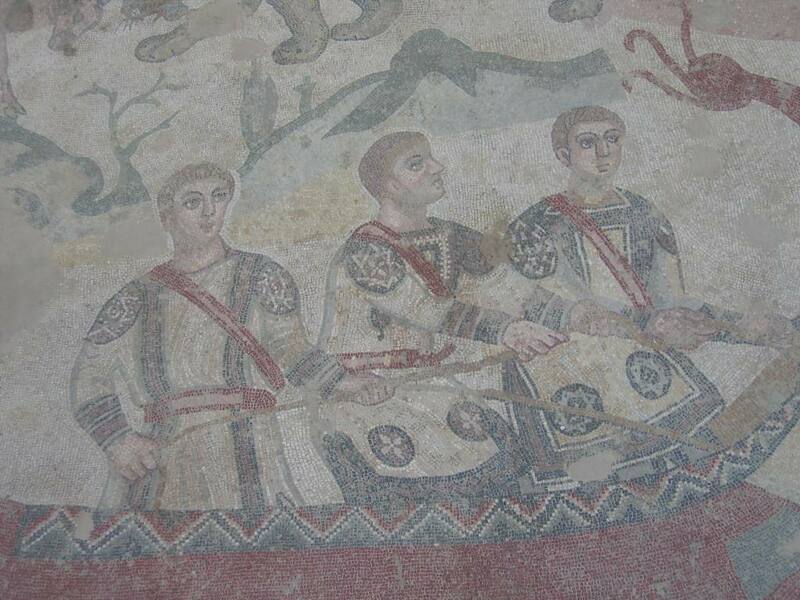 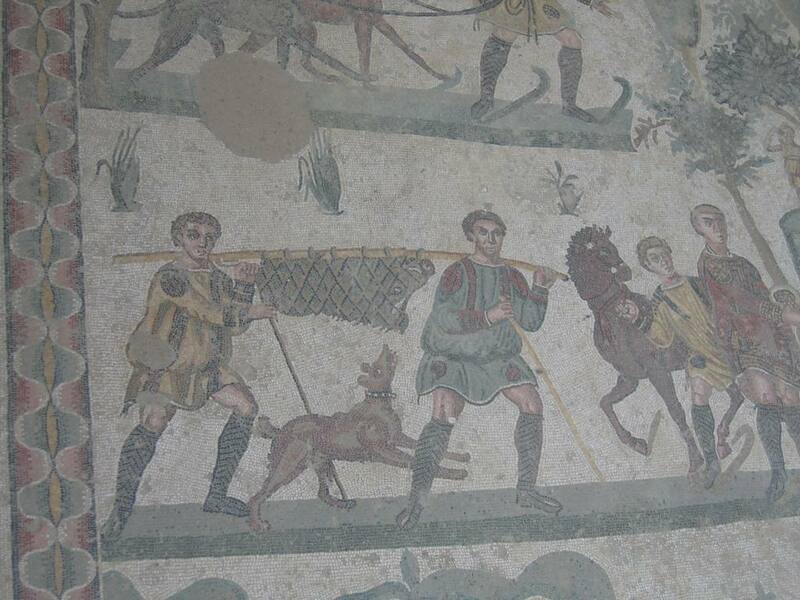 The owners must have been well-off,though.Not everybody could have afforded those luxurious floor mosaics, of which I intend to show some, e.g. 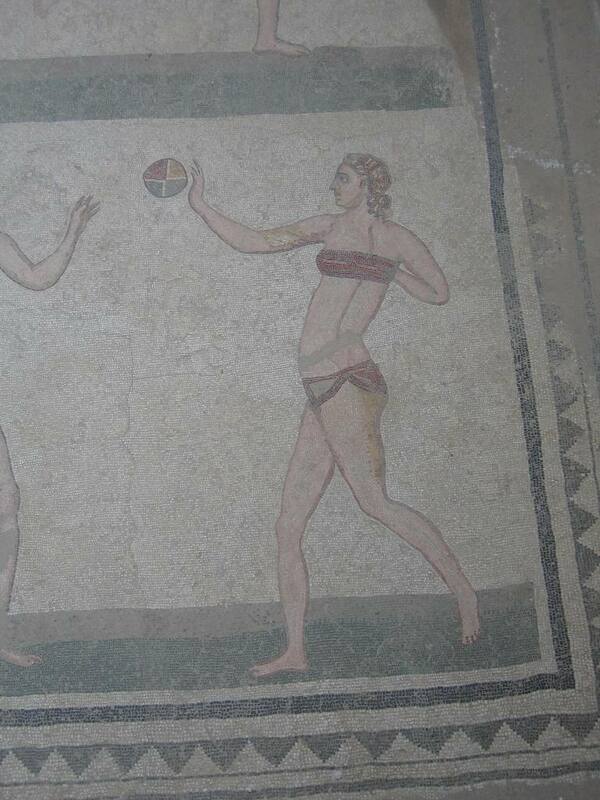 those with the famous bikini girls.